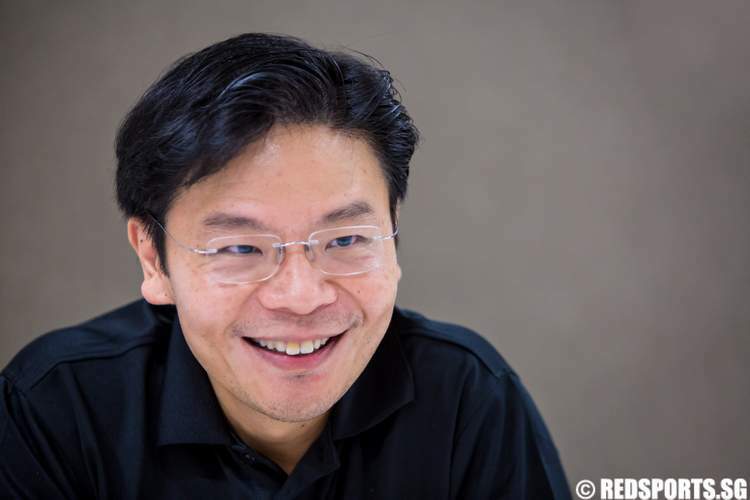 Lawrence Wong, 41, was elected to the Singapore Parliament at the 2011 general election. A member of the governing People’s Action Party (PAP), he is currently the Minister, Ministry of Culture, Community and Youth, and Second Minister, Ministry of Communications and Information. Mr Wong studied at Haig Boys’ School, Tanjong Katong Secondary Technical School (the school was renamed Tanjong Katong Secondary School in 1993) and Victoria Junior College, before going on to the University of Wisconsin–Madison in the United States where he completed a Bachelor of Science degree in Economics in 1993. He subsequently obtained a Master of Arts degree in Economics at the University of Michigan–Ann Arbor, and also a Master of Public Administration degree from the Kennedy School of Government at Harvard University. 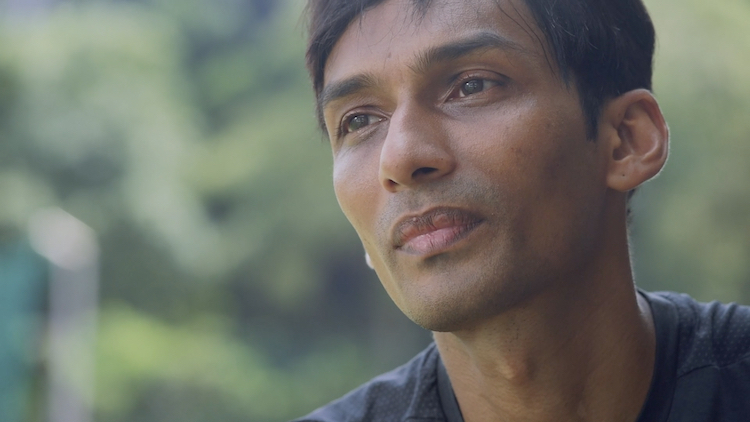 In an exclusive interview with Red Sports, he talks about National Service, foreign sports talent, the S.League, the Sports Hub, sports funding, ActiveSG, sports trends, and his personal best times for running. 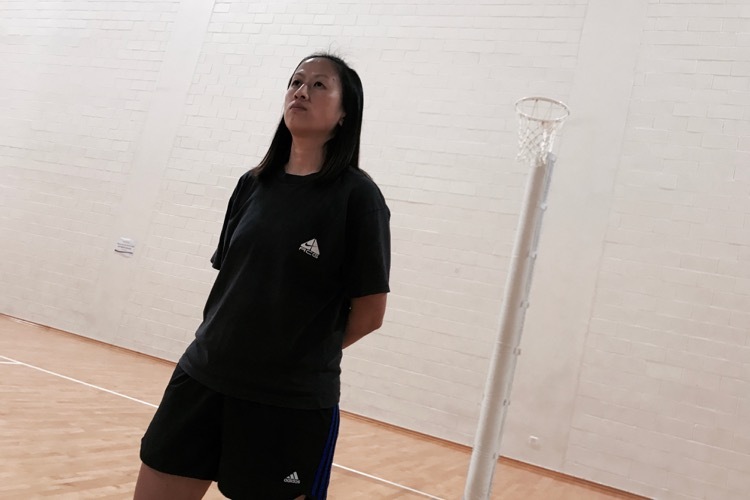 Leslie Tan: The Singapore Sports School, it’s 10 years old. It has produced many champions over the years and one of the challenges is that once they leave the Sports School system, they find that they are back to reality in some ways, whether NS (National Service) or the university system. NS slows down sports development. Instead of talking purely just in terms of deferment, which happens for very few athletes, is there a way NS can marry sports development and the vocational needs of the SAF (Singapore Armed Forces)? Minister Wong: We’ve been talking to the SAF on this and I would say they are already quite flexible in providing our athletes with time off. So there is already that provision for training. And, particularly as we approach the 2015 SEA Games, they are prepared to do that. We have discussed with them the training needs from the athlete’s perspective, and they would do their best to accommodate by providing time off for training. So that’s already an ongoing process which we are working on with Mindef (Ministry of Defence) for our athletes in general. The reality is that NS is a sacrifice. I won’t deny it; we acknowledge that it is a particularly big sacrifice for our athletes but it’s a national sacrifice if we want to secure Singapore’s defence. So there will always be that balance that we have to strike. Leslie Tan: The South Koreans [footballers], when they won the Asian Games, they were very happy not only because they won but, apparently, they are exempted from their NS. Do you think we will ever go down that route? Minister Wong: It will come at a cost, and the cost is the support level for National Service. So we have to decide for ourselves how we want to strike that balance. The support level for National Service today is quite high, even though it’s a big sacrifice on the part of individuals, I think, for several reasons. One, because it is a universal system. 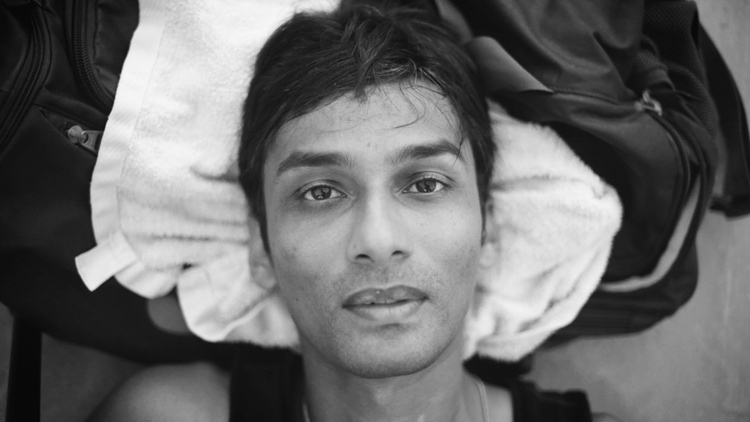 Everybody has to come on, knowing that we are all, each one making a sacrifice for the country and it’s a sacrifice worth making because it’s for the defence and security of Singapore. The next principle is the equity of treatment — that we come in and are treated the same regardless of our race, background, and religion, and the deployment of the soldier is based on what are the critical needs of our defence. So that system has worked in upholding support for National Service. Once you start to tweak around with the system to allow for different treatment depending on different individuals, there will be some impact on the perceptions of National Service. Leslie Tan: And you think the impact is not worth the trouble? Because there will be more cons than pros to that approach? Minister Wong: At the end of the day, it’s a question of which one is more important. For now, if you look at our overall system, we don’t think we are ready to undermine our National Service. It may seem like a small trade-off to make today, but the longer term consequences may be something we’re not prepared to face. It doesn’t mean the system stays static. Things will continue to evolve, I’m sure. But we have to look at this very objectively and make sure we’re making the right decisions, not just for the short term but for the long-term survival and success of Singapore. Leslie Tan: Do Singaporeans actually value medals, be it SEA Games, Commonwealth Games, Asian Games, or the Olympics? 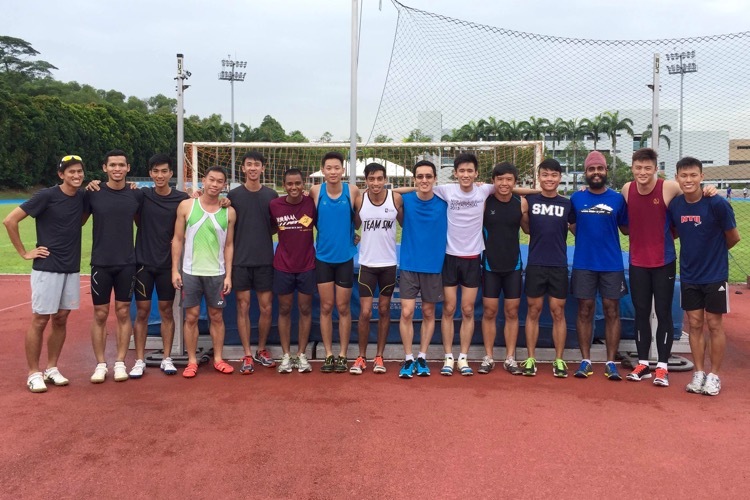 The background to that is, without government funding, rewards, or Singapore Pools’ sponsorship as well, it’s very tough to train for some of these athletes. In other countries, you can get sponsorships if you are a successful athlete. There’s that ecosystem which can then provide you with an income stream if you are a successful athlete. We don’t provide that to our athletes by the way we as a country spend our money. We spend our money, if it’s sports-related, on overseas broadcast rights – that goes out of the country. Do we really value medals when it comes down to how we spend our money? 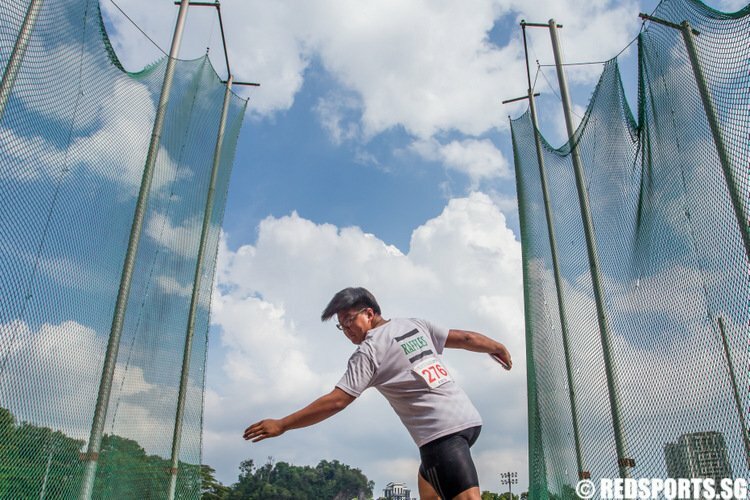 Minister Wong: In a way, the government, and if we look at all of government funding, which includes not just SportSG (Sport Singapore) but also through Singapore Pools indirectly, we are providing a lot more for sporting excellence. Not just for medals. I think the outcome of investing in sporting excellence will be more achievements in terms of sports. And we are investing a lot more in terms of sporting excellence. We recently had our event with the sport pioneers, and these are people who represented us in sport in the early years, ‘60s, some in the ‘70s. They said that, in their time, they had to pay to play. Nowadays, they pay you to play. We do have programmes to fund, to provide for training, loss of wages, and we are also bringing the companies under our high performance system as partners so that they virtually adopt an athlete. By doing so, then after the lifespan of an athlete’s career, there’ll be an employer there with a job for them. So we’re putting all that into place. 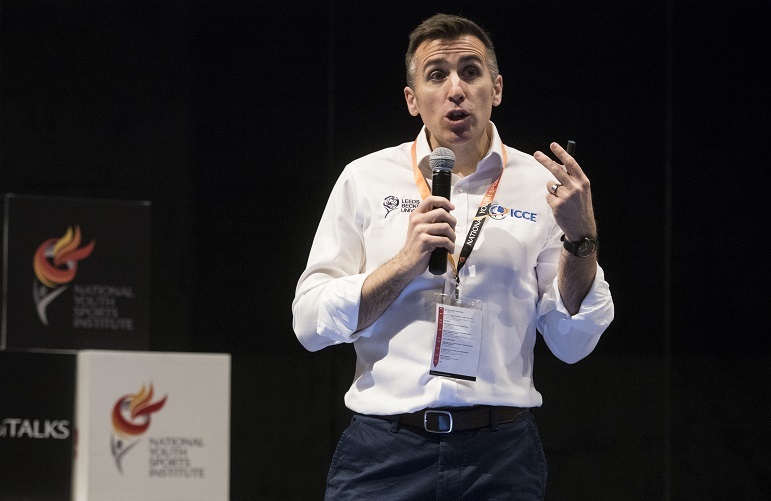 And, as you say, the important part is the corporate support and we are getting companies on board who value the athletes not just for the medals, but because of their attributes and characteristics of the athletes. These are people who are disciplined, understand teamwork, with a mindset of excellence, who are determined to succeed. 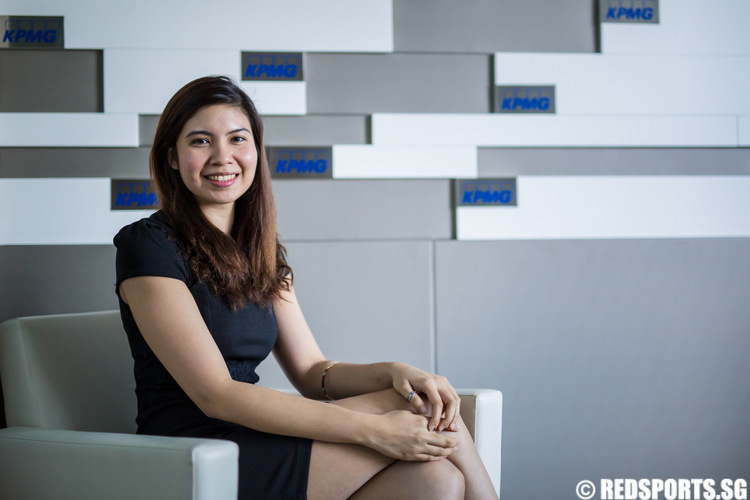 These are valuable attributes from the point of view of corporates. We just had an event with the athletes just now and Deloitte is a sponsor and the Deloitte CEO said as much, and they are one company that is on our programme and they have hired quite a number of Team Singapore athletes. So I think that sense of overall support, both from the government and the corporates, is certainly better than it used to be. It can continue to improve and we are investing a lot more in our sporting system from the government side and we certainly look forward to more companies joining us as well. Leslie Tan: If you ask people who are their sporting heroes, the usual names come to mind: Tan Howe Liang, Ang Peng Siong, C Kunalan, Fandi Ahmad. The other day, I asked some undergraduates and they added James Wong’s name to the list. But it seems like our production has stopped churning out legends after a certain point. Do you think the role of sports has changed in society? Do we look to sportsmen now in the same way that we used to? Minister Wong: I don’t think it’s because of that. It’s really a result of the new environment that we are in. It’s a more globalized environment. People growing up have a lot more exposure to a lot more different things, to see around the world, not just within Singapore. So you see the same thing with music. If you ask people in the ‘60s, ‘Who are you favourite musicians?’ I think you can get more local musicians. But nowadays, with the kind of exposure you can get, I think it’s more difficult. So that is the broader environment which we are in. With that said, you still have sporting heroes that are coming up, even in the last two decades, for example. You have Joscelin Yeo, Tao Li, or even more recently when Aleksandar Duric retired, I think there’s a real outpouring of people who are big fans of Aleksandar Duric. They may not be household names in the same way as Tan How Liang or Ang Peng Siong, but it’s understandable because they have had a much longer time to build up their reputations and they have been around for a much longer period of time. It’s a different era too. But I would be quite confident that if we continue to make progress with the kinds of investments in sports, bringing communities together, and by profiling some of these athletes better, there will continue to be sporting heroes that Singaporeans can look up to and can support. Leslie Tan: We don’t have any professional team in Singapore that can pack in the crowds at the Sports Hub on a regular basis. If Singapore plays in the Suzuki Cup and they make semi-finals, yes, 55,000 guaranteed. We are starting a poll right now, we are tapping the wisdom of the crowd and asking, ‘What kinds of crowd figures can we expect at the Suzuki Cup?’ Would you like to make a guess? Leslie Tan: The reality is we do need the Sports Hub to be a multi-type venue. We must have a Jay Chou concert, we must have Mariah Carey in town, if not it will become a white elephant. Your thoughts on that? Minister Wong: That’s not a unique challenge. It’s a challenge you see around the world but felt more acutely in Singapore because of our land constraints. Like I said, this thing about building a big stadium (in other countries), they already have problems filling it. They build it for World Cup, they build it for Olympics, and later on, it’s under-utilised. You see many examples of this. But, in a big country with lots of land, it really doesn’t matter and they can afford that. We can’t afford that luxury because we have so limited land. And so, when we build a big venue, we really want it to be well-utilised. The Sports Hub was designed as a multi-purpose venue, which can be well-utilised for all sorts of events, including sports. I think there is also some merit in bringing it together, so that you have an event venue that is not just sports but also entertainment and lifestyle. Again it goes back to how we’re trying to appeal to Singaporeans to come together and you have to find many different touch points in today’s world. You can’t just go on one alone so we have all these different touch points. I think there will be a higher chance of getting Singaporeans to come to the Sports Hub, and we’re seeing that. This year alone, we’ve already had more than a million Singaporeans come [to the Sports Hub]. 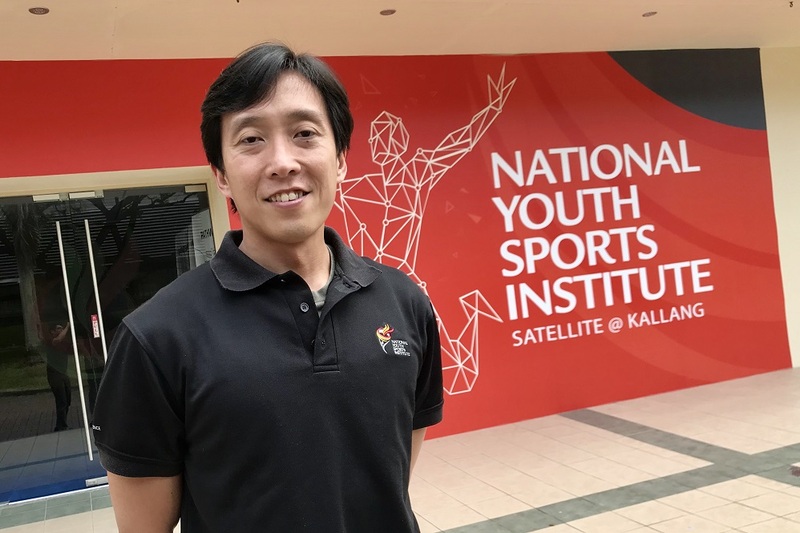 Leslie Tan: On a community and grassroots level, the door is opened to NSAs and clubs to bring in community-level events to the Sports Hub? Minister Wong: Oh, certainly! There are challenges with the events schedule. It’s packed and many people want to play here so it’s really a matter then of finding the right time to book but we have designed and made provisions for people to book. Individuals can play and come here and book but there’s also training slots to factor in and then the NSAs will also want to hold events here. So it’s a packed schedule and we see lots of demand from different groups to want to use the Sports Hub, which is very positive.